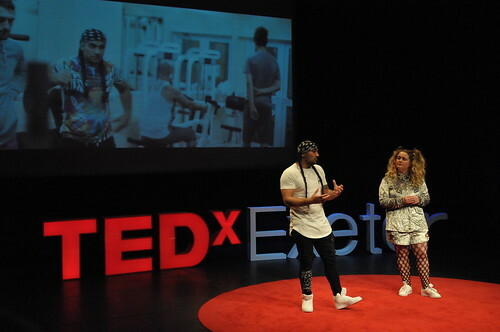 We are delighted that Deeyah Khan’s TEDxExeter 2016 talk has been chosen to feature on TED.com – an honour less than 1 per cent of TEDx talks achieve. 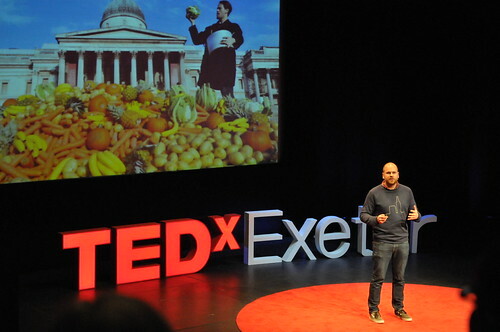 It is the 7th talk from Exeter to be selected. Building relationships is key to stopping the cycle of violence, says Emmy and Peabody award-winning documentary film director, Deeyah Khan. Born in Norway to immigrant parents of Pashtun and Punjabi ancestry, she experienced many of the difficulties Muslim children growing up in European countries can face. Aged 17, she fled from Norway confused, lost and torn between cultures. She chose film and music as the language for her social activism, not a gun. Deeyah’s first, award-winning film, Banaz, explored a so-called ‘honour killing’ in the UK. Her second film, the Bafta-nominated Jihad involved two years of interviews and filming with Islamic extremists, convicted terrorists and former jihadis. 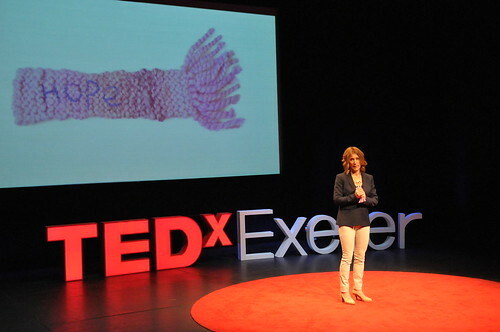 In her TEDxExeter talk “What we don’t know about Europe’s Muslim kids” she tells some of their stories and sheds light on the clash of cultures between Muslim parents who prioritise honour and their children’s desire for freedom. She argues that we need to understand what is happening to fight the pull to extremism. 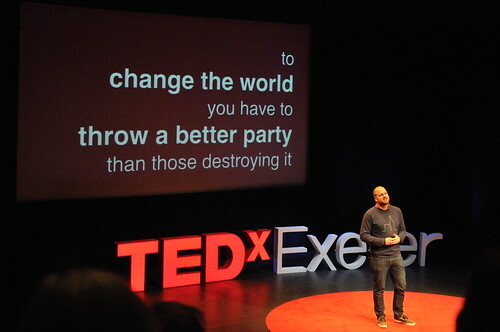 Deeyah Khan’s talk will reach a much larger audience on TED.com. 64,000 people have already watched the talk. Now it will attract a potential audience of millions around the world. 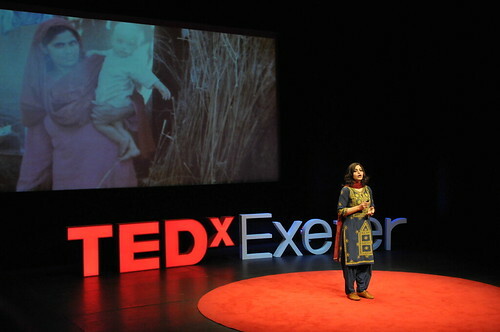 “I’m both delighted and honoured that my talk has been one of those selected to appear on TED.com,” says Deeyah Khan. 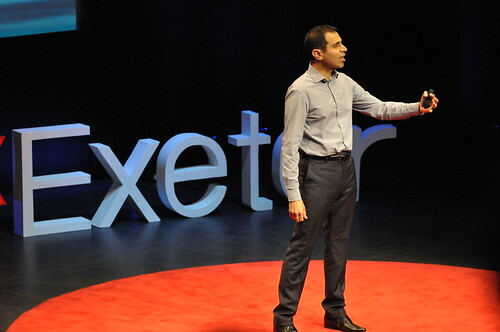 “Radicalisation is the most pressing problem of our age. Each violent act by extremists creates an increasing cycle of hatred which tears our communities apart. 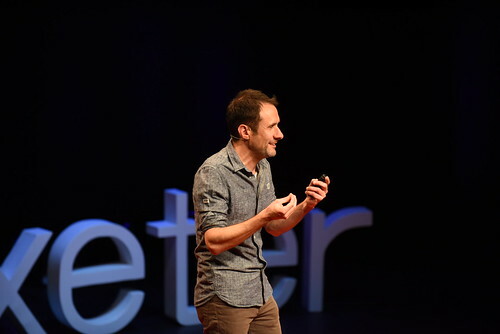 “Through the research and interviews I carried out in the development of my documentary Jihad, I believe that one of the most effective means of stopping the cycle of violence is through building relationships. This can be difficult when young people feel themselves to be growing up between cultures, and belonging in neither. The idea of jihad has been hijacked, perverted and turned into terrorism by fascistic Islamists says Manwar Ali. 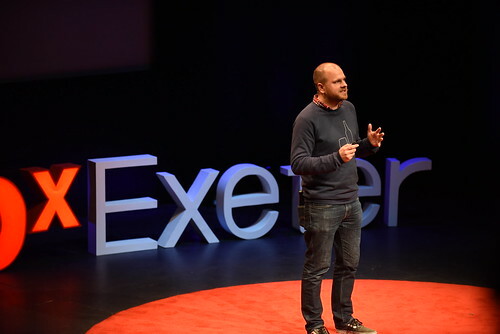 His TEDxExeter talk “Inside the mind of a former radical jihadist” from April this year has just been selected to feature on TED.com – an honour that only a tiny proportion of TEDx talks achieve (five of them now from TEDxExeter). 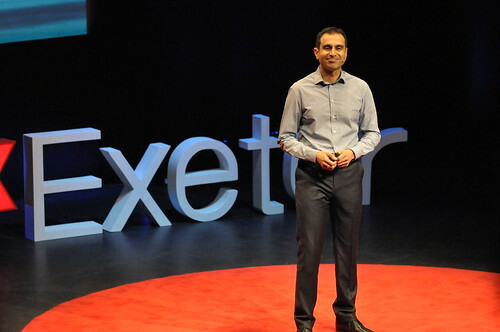 Needless to say we are all excited and proud that Manwar’s brave and moving talk will reach a global audience. It has already been watched by nearly 7,000 people since it went online in May and now it will reach millions more. Manwar Ali, who is also known as Abu Muntasir, has more than 30 years experience teaching Islam and is one of the few scholars in the UK who has been directly involved in jihad. He was a committed pioneer of jihadism in the UK who fought in Afghanistan, Kashmir and Burma. “For a long time, I lived for death,” says Manwar Ali, a former radical jihadist who participated in violent, armed campaigns in the Middle East and Asia in the 1980s. 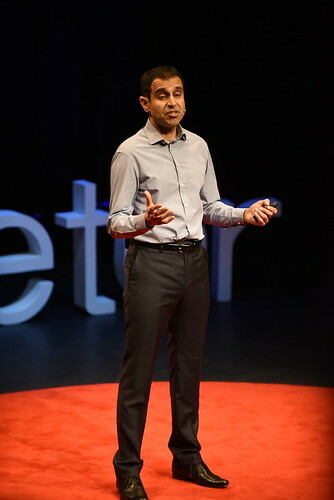 In this moving talk, he reflects on his experience with radicalisation and makes a powerful, direct appeal to anyone drawn to Islamist groups claiming that violence and brutality are noble and virtuous: let go of anger and hatred, he says, and instead cultivate your heart to see goodness, beauty and truth in others. He believes that “there are no circumstances on earth today in which violent jihad is permissible, because it will lead to greater harm”. 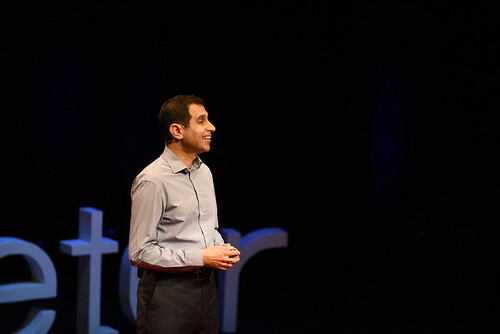 “I am absolutely delighted that my talk has been chosen for TED.com,” says Manwar Ali. “I am forever grateful to everyone responsible for making this happen. I am thrilled that a much wider audience will benefit from my humble admissions. Manwar Ali is chief executive of Muslim educational charity JIMAS. 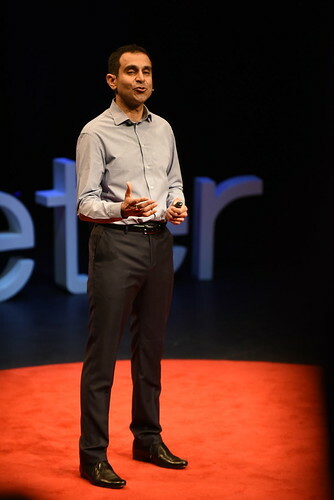 He is also a specialist interventions provider for the Home Office’s Office of Security and Counter Terrorism working with people who are at risk of radicalisation and those convicted of terrorism. 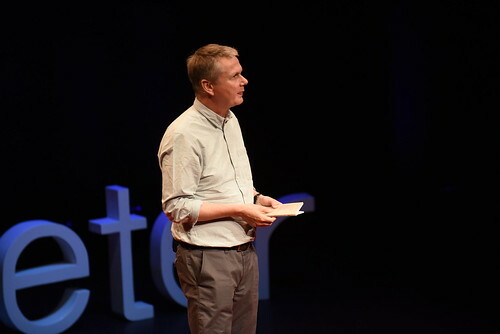 He is chaplain for University Campus Suffolk, Suffolk New College, and the Ipswich Hospital; a member of the local scrutiny & involvement panel for the Crown Prosecution Service in East England; a member of the police crime panel for the Suffolk Police & Crime Commissioner; and a member of the Suffolk Standing Advisory Council on Religious Education. 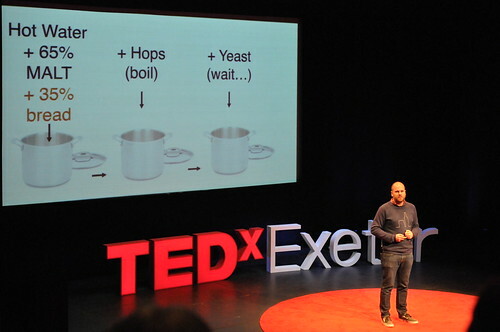 Watch the video of Deeyah Khan’s talk at TEDxExeter 2016. 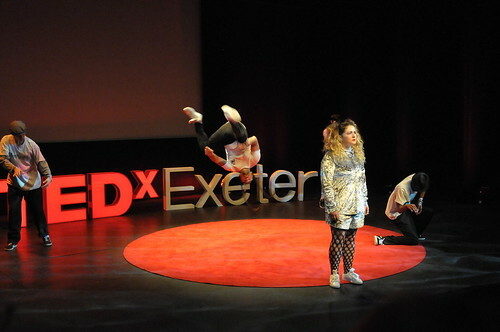 Watch the video of Celia McKeon’s talk at TEDxExeter 2015. 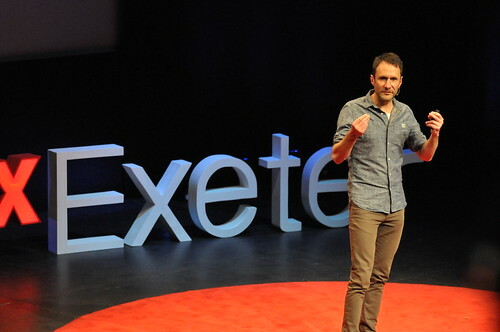 Watch the video of Jo Berry’s talk at TEDxExeter 2013. How do you deal with a bully without becoming a thug? In buy cytotec cavite area this wise and soulful talk, peace activist Scilla Elworthy maps out the skills we need — as nations and individuals — to fight extreme force without using force in return. To answer the question of why and how non-violence works, she evokes historical heroes — Aung San Suu Kyi, Mahatma Gandhi, Nelson Mandela — and the personal philosophies that powered their peaceful protests. 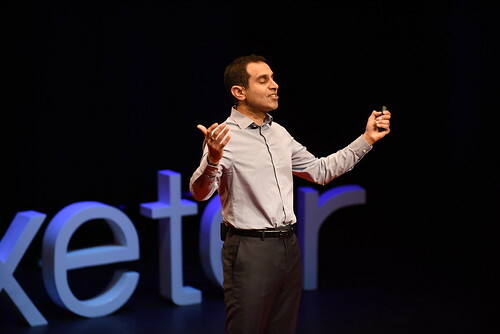 The talk has also been added to the TED playlist “The road to peace”. This is brilliant news, as it means it will be seen by thousands more people. You can watch it here. 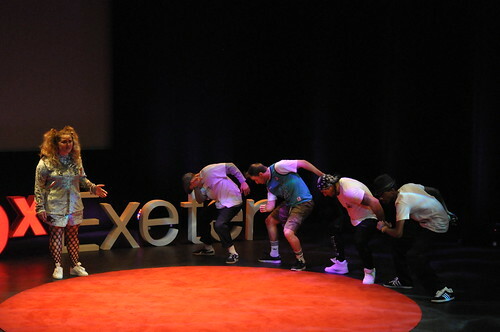 And don’t forget, the other TEDxExeter 2012 talks are available on this site and on the TEDx Youtube channel. Celia is asking us to clench our fists, tighter. How would it feel to clench it for ever? Now open your hand, stretch it out, and notice how that feels. It wasn’t until she was 16 that Celia realised how important security could be. She was in a camp in Europe, and became friends with a Croatian girl. During the Balkan conflict, she wrote to her friend, but eventually lost contact. She was horrified that her friend was exposed to such experiences and insecurities. So she got involved in peace-building. Time and again, she has learnt that peace and security are built by talking about the root causes, with an out-stretched hand and not a clenched fist. In places like the UK not affected by such conflict, we can still ask what security means. Does it mean defence? Pictures of tanks and barbed-wire fences? Sources of insecurity include patriarchy, militarised violence, climate change, concentration of power, financial insecurity. All cross boundaries, and require collective global solutions. So the 20th century requires us to build security with an out-stretched hand. Yet the global spend on defence is over $4 trillion dollars. There is something wrong. Iraq and Afghanistan have been dubbed ‘strategic’ failures for Western governments. We are deploying drones, supposedly precision strikes, but more than 100 people have been killed when trying to kill one leader. Which has led to even higher resentment. Everyone has a clenched fist. We are told there are no other options. But there are, from a different starting point, relying on building relationships, confronting inequalities, and recognising humanity. There are seven elements required, including: access to work, access to food, health protection, trust in communities, political participation. Celia is sharing stories of how this has worked in practice: in the Philippines via a touring government commission; in northern Mali via many community organisers; in Northern Ireland via a touring citizens’ inquiry. It is not a magic solution, but conversations and the willingness to listen are powerful. In the UK’s ‘war on terror’, we need the courage not to respond to a clenched fist with another clenched fist. How instead can we build basic security for everyone? Power – the UK elite are tied into global military sales – isn’t working. Let’s consider being vulnerable instead, where most break-throughs have come. The most transformative moments in peace processes around the world are when the risk is taken to build relationships… unclenching the fist and offering an out-stretched hand. Celia later lived in Croatia for a while. War veterans from all sides are being brought together to talk and listen. So ask whether politician’s approaches are building true security, and recognise that we have the choice to harness creativity. In the end, our future is likely to depend on the kind of security we choose to believe in. Today’s second session is about the power of making connections. Jo Berry is sharing a story that started on 12 October 1984. Her father was a Conservative MP who was staying at the Grand Hotel in Brighton… and was killed by the IRA bomb. She didn’t just lose her father, but also the ‘free spirit’ who had no cares in the world. She now felt the conflict in Northern Ireland was her conflict. She made a private commitment to make something positive out of what had happened. And so a journey buy klonopin from india started, a journey with no map, but she trusted. She shared a taxi with a stranger from Northern Ireland, who told her that his brother had been in the IRA but had been killed by a soldier. In 1985 and 1986 she began to meet people in Belfast who were living the conflict, and heard their stories. The Brighton bomber Pat Magee was released as part of the 1998 Good Friday Peace Agreement. And one day, Jo got the opportunity to meet him at a friend’s house in Dublin. She was terrified, but she trusted. Both thanked the other for coming. Pat shared his political background and the pain in his community. Jo felt that he was trying to justify his actions, but she also saw that he cared. Something happened – he stopped talking, and said that he wanted to hear Jo’s pain and anger and asked how he could help. And so another journey started, as Pat took off the political hat and became vulnerable, disarmed by the empathy Jo showed him, which disarmed his position of righteousness. He now knows he could have sat down with Jo’s dad with a cup of tea. But instead both sides had demonised each other. Jo has learned so much in 12 years. She realised that if she had lived Pat’s life, she may have made the same choices. Therefore there is no need for forgiveness, instead there is understanding. They have spoken together over 1,200 times, in all sorts of places around the world. 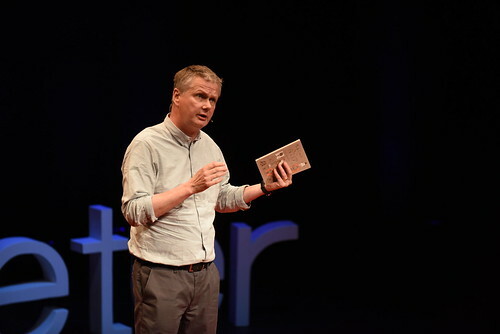 People in conflict who want to meet the other give Jo hope. She believes that these stories are the way forward. There is no enemy, only the part of me that can be violent, and we need to transform that into a pattern of peace. That is the power of empathy – so I want for you what I want for me and my loved ones – human rights, needs met, security, freedom. Sometimes she is accused of betraying her father, but actually the only betrayal is the betrayal of the heart that denies the connection with everyone in the world. Every time we demonise someone else we deny part of our humanity. There are times of wanting to blame, but there is always a choice. Jo’s dream is that we see the humanity of everyone, and give dignity to all. Join her in this dream. Humanity heals together. Huge round of applause, an incredibly moving and powerful story. Prolonged standing ovation.